Tax refunds still are several months away. But it’s a fact of life that many Americans will spend their tax refund on a new or used car. Most people will be focused on the holidays, but that doesn’t necessarily mean it’s too soon to start figuring out how (or whether) to make a tax refund car purchase. Especially if you think you’ll want to spend it on a good yearend deal before your refund is in hand. Of course, you don’t want to spend the money on a vehicle if you have other, more pressing needs, or your budget can’t absorb the ongoing monthly payments. 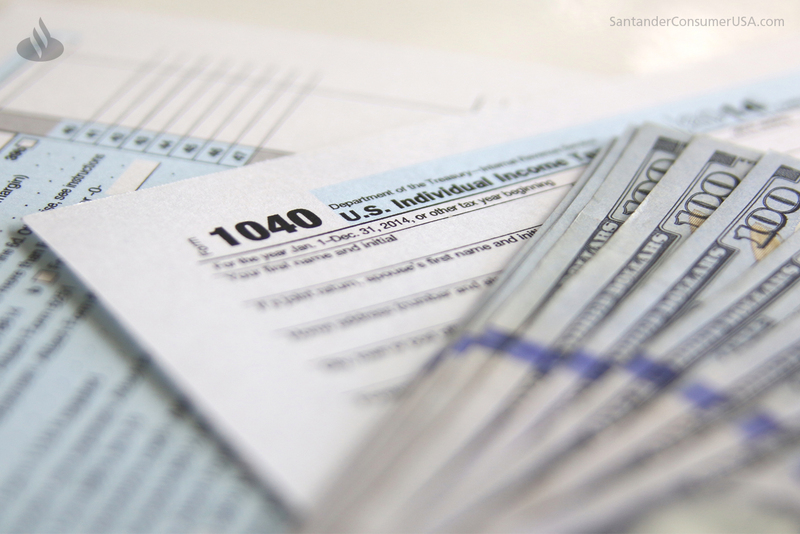 But the average refund of almost $2,800 – more than $3,000 for early filers – may be awfully tempting. Much of that spending will occur before the tax-filing deadline of Monday, April 15, anyway, with March typically one of the biggest sales months of the year. For those inclined to spend, the average refund to more than 140 million taxpayers was $2,778, according to the Internal Revenue Service, or enough to cover about half the 20 percent down payment recommended by financial experts on a $25,000-$30,000 new or used vehicle. Or at least to make a significant dent in a year’s worth of car payments. That being said, you still probably have questions on how to use your tax refund to buy a vehicle. 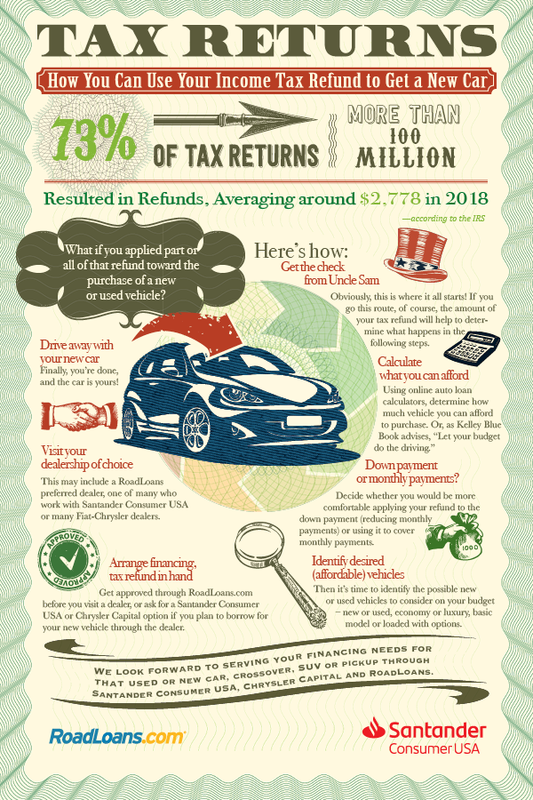 The infographic below, “Tax Returns | How You Can Use Your Income Tax Refund to Get a New Car,” should help clarify by describing seven steps in the process. A down payment on a new or used vehicle. This reduces the loan amount and results in smaller monthly payments with less budget impact. Fix or upgrade your current vehicle. Keeping a recent-model-year vehicle well maintained could allow you to drive it more than 10 years and well past 100,000 miles, based on industry data. Buy a really inexpensive used vehicle. With a bit of searching, an average refund could go a long way toward a low-priced used or new car, perhaps even that 20 percent (or more) down payment financial experts suggest. Make a large drive-off payment on a new-car lease. Apply a larger down payment to your lease to reduce the monthly amount and ongoing budget impact. Pay down an existing car loan. You may want to consider using your tax refund to pay down the balance on your existing vehicle loan or make several extra monthly payments so you are carrying less debt. Until then, have a happy holiday season. What are the top-selling new cars, trucks and SUVs of 2013?